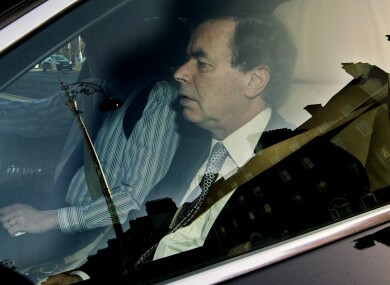 Will Alan Shatter take his severance pay? He has "no comment at this time"
The Taoiseach said earlier today that while he “can’t force him”, he “hopes” that Shatter doesn’t accept the payment. TAOISEACH ENDA KENNY has called on the former Minister for Justice Alan Shatter to decline just over €70,000 worth of severance payments. Speaking to Midwest Radio this morning, he noted that Shatter oversaw the introduction of legislation to end these payments while he was in office. When contacted by TheJournal.ie this afternoon, a spokesperson said that Alan Shatter had ”no for comment at this time” on the issue. “The former minister was obviously at the cabinet table when we discussed this,” Kenny said, adding that although the legislation wasn’t signed while Shatter was in office, it is now. He said that while he “can’t force any individual” that he ‘hopes’ that Alan Shatter will not accept the severance payments available to him. As previously reported, Shatter is entitled to €70,282 worth of these payments. If accepted, he would receive roughly €4,392 for six months, €2,928 for 12 months, and finally €1,464 for six months – the equivalent of one year’s ministerial salary spread across two years, paid at decreasing rates. Former Junior Minister Róisín Shortall declined this payment when she resigned in September 2012. Email “Will Alan Shatter take his severance pay? He has "no comment at this time"”. Feedback on “Will Alan Shatter take his severance pay? He has "no comment at this time"”.